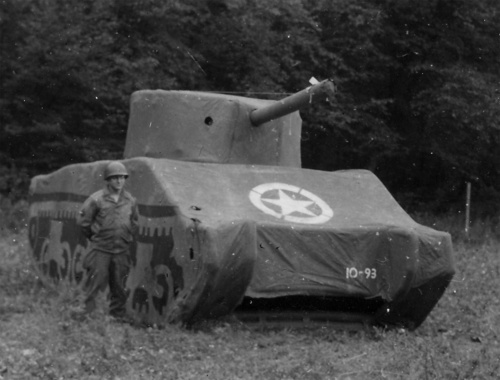 The Ghost Army’s trademark tool of visual illusion was the inflatable M4 Sherman tank. The deceivers were equipped with hundreds of them. 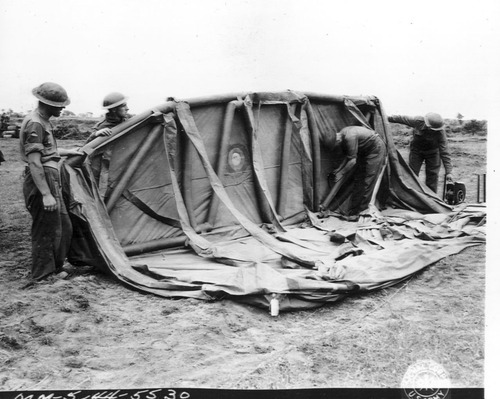 Fully inflated, the tank was 18’4” long, 8’3” wide, and 7’9 to the top of the turret. As the diagram above exlplains, it took 20 minutes to inflate. 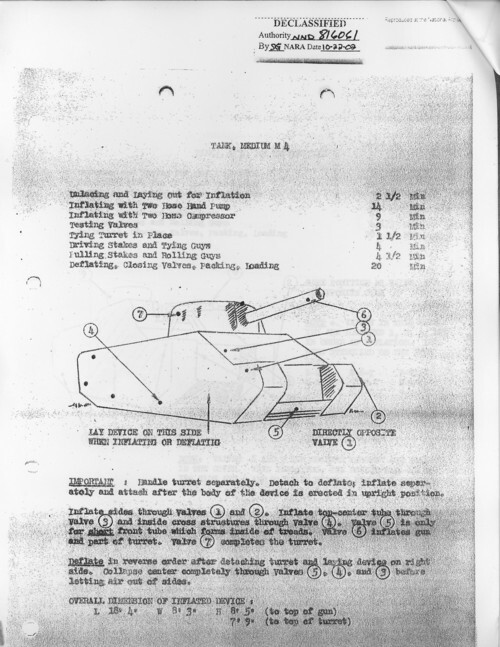 The tank was actually built on a skeleton of inflatable tubes, which was then covered by a skin of neoprene. 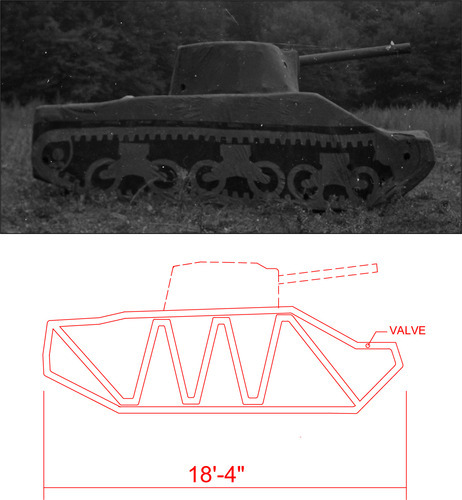 The turret was a separate piece inflated on its own, then attached to the body of the tank. 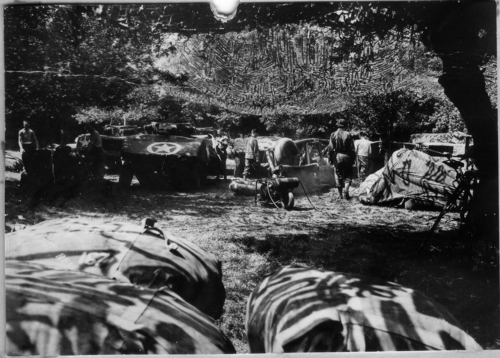 This photo shows dummies being assembled by the Ghost Army under a camouflage net in Normandy. In the foreground you can see the canvass bags in which the dummies were carried. 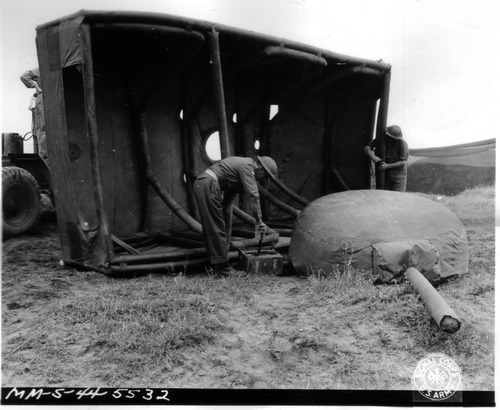 A partially inflated tank can be seen to the right, a more fully completed one toward the left. 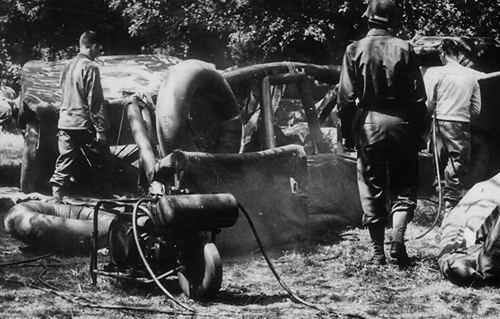 In the center (enlarged below) the men are using an air compressor to inflate the frame of yet another tank. According to the website www.pattencompany.com, the inflatables were designed by Fred Patten at the U.S. Rubber Company in Woonsocket Rhode Island. 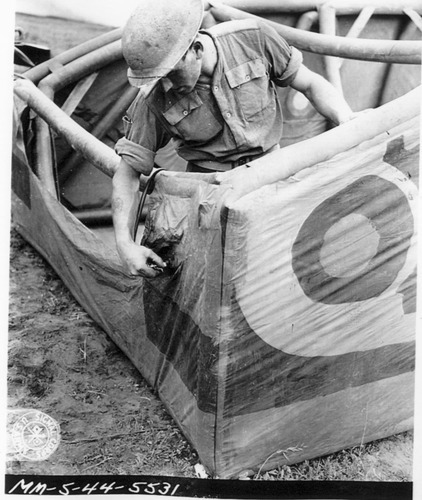 (Patten also designed the inflatable one-man liferafts carried by fighter pilots in the Pacific.) 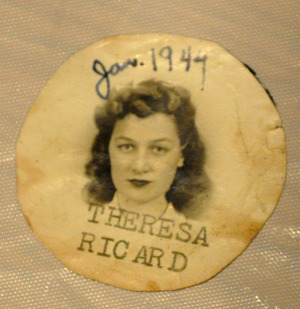 The tanks were manufactured by a consortium of companies that included U.S. Rubber, Goodyear, and the Scranton Lace Curtain Manufacturing Company, in Scranton PA.
Theresa Blais (nee Ricard) was one of the workers who put together tanks at the U.S. Rubber's Alice Mill in Woonsocket. She was 16, and every day after school she was paid 49 cents an hour to work the 3-7 shift. She needed her ID badge (above) to get in to the building. Terry and her fellow workers referred to the tanks as "targets." "We were painting, they called it cementing, these big tubes. We'd cement them and fold them different ways to make sure it fit." 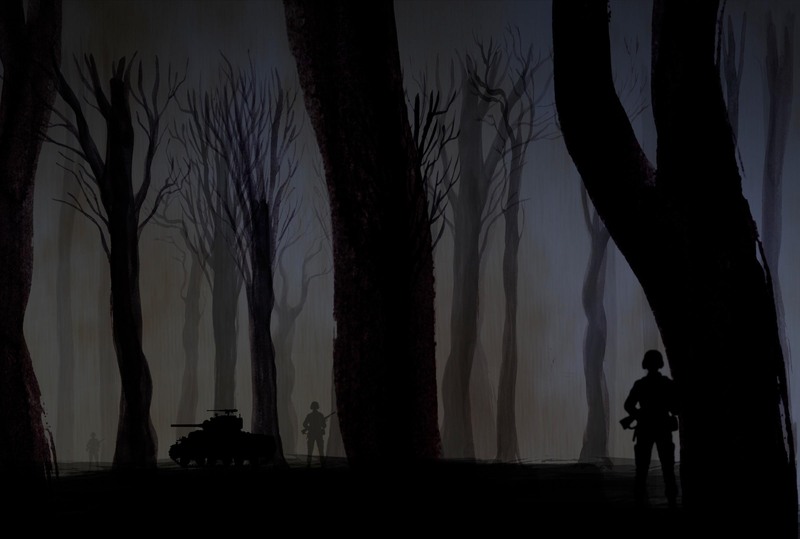 As far as is known, none of the rubber tanks made during the war survive today.